Qualitatively and ‘funkilly’ this excellent album reminds me of the great Steely Dan. Stylistically and musically they are nothing alike but still that feeling persists. Maybe much of that impression is due to the recording quality, perhaps an overlap in instrumentation and the ‘funkiness’ of their take on ‘roots music.’ There are elements of jazz, although this is not a jazz album, as well as elements of other roots sub genres but it is impossible to say what the dominant style is. Maybe that is the reason for the comparison. That indecipherable style that has a little of everything but is ultimately uniquely their own sound. The instrumentation is perfectly selected and played, whilst the recording quality and separation is excellent. 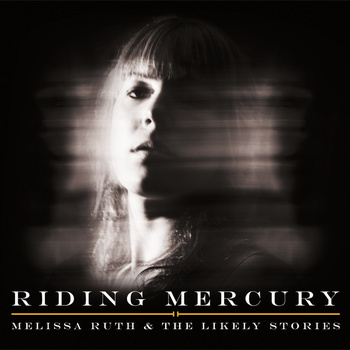 Certainly there are many bands that description can be applied to but what they lack is the beautiful and expressive vocals of Melissa Ruth to lift the quality even further. She can do smoky jazziness and deep heartfelt blues, as well as a powerful country feeling, all as if that individual style is what she was born to. Whilst I loved and raved over the previous album ‘Ain’t no whiskey’ this recording is if anything even better. The instrumentation has a more fluid feel, perhaps because the band is finding its own style and Melissa’s vocals seem to have become more confident enabling her, rather than just singing the song, to virtually inhabit the lyrical content. She wrote all of the songs, as well as arranging and producing the album, sings all lead vocals and plays rhythm guitar, banjo and keyboards. Two constants on the three albums released so far are the Leal brothers, Johnny who plays lead, slide and rhythm guitars and Jimmy on drums, and that familiarity shows, with the two brothers both having an instinctive feel for each songs requirements. Also adding some excellent work to this album are Rick DeVol on electric and fretless bass, Scoop McGuire also on electric bass and Talon Nansel on trombone. The instrumentation is all tastefully arranged and has a lovely warm feel allowing Melissa’s vocal and the songs stories to dominate, yet at the same time providing a tremendous, often sparse colourwash of melodicism. Whilst the guitar sound is sweet toned throughout this terrific album the bass and drums are what everything is built on, with all three blended together allowing Melissa the confidence to go where she likes with her fluidly melodic, poignant vocalizing on these songs of lifes ups and downs, all of which are imbued with a strong sense of believability. The album opens with a little Steely Danish funkiness on What I Got, a tremendous song that has a strong jazzy bluesiness, with Mellisa’s vocals creating an almost confrontational attitude, added to which is some tremendous playing from the lovely melodic guitar and keyboards. Summer Night In New Orleans creates an incredibly deep swampy atmosphere starting with a slow moody bass and drum intro with some tremendous emotion drenched guitar sounds and an incredibly emotional vocal from Melissa on a song that gradually becomes more intense as we go through it. There is a tremendous jazzy bluesiness to High Brow Blues an excellent mid tempo song with sweet sounding guitar playing around the melody and propulsive bass and drums laying a heavy foundation, whilst the addition of trombone enhances the stylistic variations. On Put Your Light On we are treated to a sparky pleading vocal from Melissa with guitars, bass and drums as usual providing perfect support that includes an excellent guitar solo that fits perfectly with the song and brings a little variation to an excellent ballad. Who’s Your Lover has an excellent tuneful guitar sound that complements Melissa’s moodily atmospheric vocal on another terrific song that, as is often the case on this album, is of indeterminate genre, but has a powerful, dark atmosphere. It’s difficult to know how to sum up an album of this quality. Everything on it is a highlight from the exceptional playing, arrangements and quality of writing to the expert recording but for me what makes this such an outstanding album has to be Melissa’s lovely fluid, expressive vocals that are able to evoke just about any emotion or situation with total believability. This is a rare talent and one that seems to be growing with each album, as is that of her exceptional band. They call their music ‘Doo wop twang,’ which is probably as accurate as anyone can get, although I prefer to call it ‘great music,’ which is even more accurate! A tremendous album that is not only a grower but also a stayer!